Women-led musical projects are, unfortunatelly, still rare in extreme metal. However, slowly, but surely more and more female musicians are gaining success in that style of music and oftentimes enrich the genre with fresh ideas. Australian solo musician Emily Highfield and the impressive debut iof her project SULDUSK are one example of that development. In the following interview with the artist behind the project you can read more about why the debut, despite having screamed vocals and distorted guitars, is not predominantly a metal record, what other muscians brought into the album as well as what has been a bigger problem for her than sexism up until now. The name of your solo project, SULDUSK, has a certain mysterious sound to it. What is the idea behind it? It is inspired by a combination of sul meaning ‘receive’ in Korean, and dusk being a liminal time of the day – between the light and the dark. It is also a Dungeons and Dragon reference to a tribe of wild elves. All meanings are relevant. Did you already create music before SULDUSK or is it your first creative outlet? I have always been involved in music from early days, but I took a break for a long while. I then started writing and uploading onto Soundcloud which was very inspiring and motivating. What do you think is the creative core of SULDUSK, the essence that can be found in every single one of your songs? What a great question. All the tracks on „Lunar Falls“ were written on acoustic, and also perhaps all the tracks draw from imagery of nature. You combine dark folk and post-rock in your music, with the addition of some black metal. What exactly inspired you to combine these genres? Composing has always been about creating an atmosphere for me. 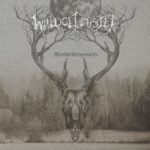 Acoustic richness in dark folk can be effective in expressing a stark honesty, but to fuse that with the wider textures that more extreme metal can offer is very exciting. I absolutely love the production of washed out harsh vocals as used by Coldworld, and Unreqvited, and the deep melancholy of depressive black metal like Austere. The black metal elements are present, but a bit more in the background than the other influences. Are you maybe also considering writing more harsh sounding songs in the future? Yes, I feel there are some coming on the next album absolutely. It will be an album of more extremes. Your songs partly remind me of Emma Ruth Rundle, Sylvaine and Myrkur. Are these artists among your role models or do you draw your inspiration from other sources? I deeply respect these artists – they are wonderful composers and definitely inspirational trail blazers. I would say musically, I am more influenced by elements of Agalloch, Opeth, Trees Of Eternity and depressive metal, Unreqvited, Heretoir and Austere. Women are still in the minority in extreme metal. Did you have to deal with rejection because of that, has it perhaps even increased the curiosity of metal listeners about your music, or do you think that this is actually of no particular impact? It isn’t sexism that I have encountered in metal. More it is a form of ‘elitism’ which is very disappointing. However, personally speaking, overall I have been very lucky and have had goodwill from people who understand that I am from the same metal tribe although I come from another place. With „Lunar Falls“ the release of your debut album is coming up. Do you think that the fans of your first few songs will appreciate the record as a whole or are there songs some might take time to get used to? It really depends on the listener and what they expect. 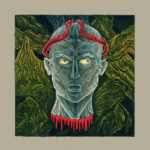 It is an album of neo-folk, with flourishes of atmospheric black metal or doom, not the other way around. It is quite vocally driven as well. The people that connect with it, really connect with it on a deeper level, and that is heartening. You’ve worked with some guest musicians on the album and already played live with renowned bands, and some of your songs have also been shared on the YouTube channel of In The Woods… How did you manage to gain a foothold in the scene so quickly? I think I have been lucky and have had support from people who understand that I am just doing my own thing, and that perhaps this is a type of new offering. As already mentioned, some guest musicians contributed to the album – but SULDUSK is still a solo project. So, do you write your songs all on your own or have your fellow musicians also contributed to the songwriting? Going into live performances and studio, I have a concept of what I would like in certain sections of the tracks. I provide this to the musician and together we shape the outcome. Having said that, two tracks on the album were definitely shaped a lot by other composers, being „Drogue“ with Skyggefigurrer, and „The Elm“, which is based on „Sinking Ships“ by Juha Raivio and Aleah Stanbridge. Are there certain musicians with whom you would like to collaborate in the future? Yes absolutely. There are too many to mention to be honest! In my opinion the production of the album sounds very professional and polished. Would you say that you are a perfectionist in that matter? Thank you. The supervising producer of „Lunar Falls“ is Mark Kelson who was amazing to work with. He was absolutely pedantic in the best way. We spent one whole day just picking out which configuration of vocal mics to use! According to your label, on „Lunar Falls“ you’re dealing with the search for identity and the things one has to sacrifice or overcome in that process. Can you tell us more about what this is all about? Some of us are lucky enough to grow up in a loving place of belonging and a strong sense of self. Some of us are not. We are sent blindfolded through this maze of life and have to find our own way. Innocence, joy and wonder can become lost. Spending time in nature, can fortify us during such challenging times, and help us reconnect with our true inner nature. „Lunar Falls“ is dedicated to the late Aleah Stanbridge. What connected you personally with her? Aleah, to me, represents an ultimate loss. She was a spectacular composer and vocalist who never lived to see the effect her music had on others, as her album was released after she died. As already mentioned, your song „The Elm“ is an adaptation of Trees Of Eternity’s „Sinking Ships“, which was sung by Aleah. What gave you the idea to rewrite the track and release it on the album? „The Elm“ is a tribute to an amazing artist who died just as her career commenced. I heard „Sinking Ships“ and then when I found out she had just died I mourned for this artist who had profoundly moved me. I asked Juha Raivio if it was ok to include my adaptation of the song on my album. He gave me his blessing. He understood that I wanted to carry on the spirit of the Nightingale and let more people discover this amazing artist who left a beautiful legacy. The song „Aphasia“ was accompanied by an official music video already some time ago. Why did you choose this particular track and what was the idea behind the concept of the video? The music video director Dillon Pearce chose to work on this track as a passion project and he responded to the visual concepts I raised. Essentially the theme is about embracing your shadow – to find strength in the darkness. That is, to accept that is part of our humanity for good or bad. Which of your tracks do you think is the most accomplished one you’ve created to this day? I am very self critical, and feel my next album will be even more of a reflection of what I envision. However, I am very proud of „Lunar Falls“ for a debut, and of all the tracks on the album, „Sovran Shrines“ is a reflection of the songwriting direction I wish to take. It takes the listener on a journey. For the release of your debut you worked with Northern Silence. For what particular reason did you choose this label? Northern Silence is well respected for curating some of the finest underground releases in atmospheric black metal ever! Torsten, the label manager, expressed belief and a deep understanding and appreciation of the album. Also, he is one of the hardest working people I know, and he loves what he does. Can you tell us what’s planned next for SULDUSK? After playing some amazing live supports for Anaal Nathrakh, Lindsay Schoolcraft, Zeal & Ardor recently, I wish to start working on bringing „Lunar Falls“ to life with bigger instrumentation and an even more immersive show. A few small tours here and there are planned. Also, I have started working on demos for the next album. At Metal1.info we usually end our interviews with a short brainstorming. What do you think about the following terms? Low-fi production: Raw and real has its place. I love it. Blast beats: Perfect when used selectively. Pop music: Every now and then something of substance will emerge. Feminism: Grateful to the pioneers. SULDUSK in ten years: Writing songs by the sea! Thanks again for this interview. Would you like to say a few last words to the readers? Thank you, Stephan, for these well thought out questions! I hope the readers enjoy the album. Von Frauen angeführte Musikprojekte sind im Extreme Metal bedauerlicherweise immer noch eine Seltenheit. Dennoch tun sich langsam, aber sicher immer mehr Musikerinnen in dieser Stilrichtung hervor und bereichern das Genre nicht selten mit neuartigen Ideen. Die Australierin Emily Highfield etwa, die mit „Lunar Falls“ das beeindruckende Debüt ihres Soloprojekts SULDUSK vorlegt. Warum das Album trotz Screams und Zerrgitarren nicht primär als Metal-Platte zu verstehen ist, inwiefern andere Musiker daran beteiligt waren und was für Highfield ein größeres Problem darstellt als Sexismus, erfahrt ihr in unserem Interview mit der Einzelkünstlerin. Der Name deines Soloprojekts, SULDUSK, hat etwas Geheimnisvolles an sich. Welche Idee steckt dahinter? Es ist inspiriert von einer Kombination aus „sul“, was auf Koreanisch „empfangen“ bedeutet, und „dusk“ bedeutet „Dämmerung“, also eine sehr limitierte Tageszeit – zwischen Licht und Dunkelheit. Es ist auch ein Verweis auf Dungeons & Dragons, wo es einen gleichnamigen Stamm von Wildelfen gibt. Alle Bedeutungen sind relevant. Hast du vor SULDUSK bereits Musik kreiert oder ist es dein erstes kreatives Outlet? Ich habe mich schon immer mit Musik beschäftigt, aber ich habe zwischendurch eine lange Pause eingelegt. Dann begann ich, Songs zu schreiben und auf Soundcloud hochzuladen, was sehr inspirierend und motivierend war. Was ist deiner Ansicht nach der kreative Kern von SULDUSK, die Essenz, die in jedem einzelnen deiner Songs steckt? Eine wirklich tolle Frage. Alle Tracks auf „Lunar Falls“ wurden für Akustikinstrumente geschrieben, und ich würde sagen, alle Tracks beziehen sich auch auf Naturszenerien. Du verbindest in deiner Musik vor allem Dark Folk und Post-Rock, aber auch ein wenig Black Metal. Was genau hat dich dazu angespornt, diese Genres miteinander zu verknüpfen? Beim Komponieren ging es mir immer darum, eine Atmosphäre zu schaffen. Reichhaltige Akustiktöne können im Dark Folk eine gewisse Ehrlichkeit auszudrücken, und das mit den breiteren Texturen zu verschmelzen, für die sich Extreme Metal anbietet, ist sehr aufregend. Ich liebe ausgewaschen produzierten, harschen Gesang, wie er von Coldworld und Unreqvited verwendet wird, und die tiefe Melancholie von depressivem Black Metal von Bands wie Austere. Die Black-Metal-Elemente sind durchaus präsent, aber gegenüber den anderen Einflüssen eher im Hintergrund. Ziehst du in Betracht, auch mal Songs zu schreiben, in denen der harsche Sound überwiegt? Ja, ich habe das Gefühl, dass auf dem nächsten Album einige härtere Tracks kommen werden. Es wird ein Album der Extreme sein. Mich erinnern deine Songs zum Teil an Emma Ruth Rundle, Sylvaine und Myrkur. Zählen diese Künstlerinnen zu deinen Vorbildern oder beziehst du deine Inspiration aus anderen Quellen? Ich respektiere diese Künstlerinnen sehr – sie sind wunderbare Komponistinnen und definitiv inspirierende Wegbereiterinnen. Ich würde sagen, musikalisch bin ich mehr von Elementen von Agalloch, Opeth, Trees Of Eternity und depressivem Metal, Unreqvited, Heretoir und Austere beeinflusst. Frauen sind im extremen Metal immer noch eher in der Minderheit. Hast du deshalb bereits mit Ablehnung zu kämpfen gehabt, hat es die Neugierde der Metal-Hörer an deiner Musik womöglich sogar gefördert oder ist das für dich schlichtweg kein Thema? Mit Sexismus habe ich im Metal keine Erfahrungen gemacht. Es ist eher eine Form von „Elitismus“, was sehr enttäuschend ist. Ich persönlich hatte jedoch insgesamt sehr viel Glück, die Leute haben mir viel Wohlwollen entgegengebracht und verstehen, dass ich aus der gleichen Metal-Ecke stamme, obwohl ich von einem anderen Ort komme. Mit „Lunar Falls“ steht aktuell der Release deines Debütalbums an. Denkst du, dass die Fans deiner ersten paar Songs die Platte als Ganzes schätzen werden oder gibt es da womöglich auch Songs, an die man sich erst mal gewöhnen muss? Es hängt wirklich vom Hörer ab und was dieser erwartet. Es ist ein Neo-Folk-Album, mit Einflüssen von atmosphärischem Black Metal oder Doom, nicht umgekehrt. Es wird auch hauptsächlich vom Gesang getragen. Die Menschen, die dazu eine Verbindung aufbauen, tun dies auf einer tieferen Ebene, und das ist ermutigend. Du hast auf dem Album mit einigen Gastmusikern zusammengearbeitet und auch schon mit renommierten Bands live gespielt, außerdem wurden ein paar deiner Songs über den YouTube-Kanal von In The Woods… veröffentlicht. Wie ist es dir gelungen, schon so früh in der Szene Fuß zu fassen? Ich denke, ich hatte Glück und Unterstützung von Leuten, die verstehen, dass ich nur mein eigenes Ding mache, und dass dabei vielleicht etwas Neuartiges herausgekommen ist. An dem Album haben, wie bereits erwähnt, einige Gastmusiker mitgewirkt – dennoch ist SULDUSK ein Soloprojekt. Schreibst du deine Songs demnach alle ganz auf dich allein gestellt oder haben deine Mitmusiker dir auch schon beim Songwriting geholfen? In Bezug auf Live-Auftritte und die Arbeit im Studio habe ich ein Konzept davon, was ich mir in bestimmten Teilen der Tracks wünsche. Ich erkläre dies dem jeweiligen Musiker und gemeinsam setzen wir es um. Allerdings wurden zwei Tracks auf dem Album definitiv stark von anderen Komponisten geprägt, nämlich „Drogue“ von Skyggefigurrer und „The Elm“, das auf „Sinking Ships“ von Juha Raivio und Aleah Stanbridge basiert. Gibt es bestimmte Musiker, mit denen du in Zukunft gerne mal kollaborieren würdest? Ja, absolut. Es gibt zu viele, um sie aufzuzählen, um ehrlich zu sein! Meiner Ansicht nach klingt die Produktion des Albums sehr professionell und aufpoliert. Würdest du sagen, dass du in dieser Hinsicht Perfektionistin bist? Ich danke dir. Der verantwortliche Produzent von „Lunar Falls“ ist Mark Kelson, die Zusammenarbeit mit ihm war hervorragend. Er war absolut pedantisch, auf die beste Weise. Wir verbrachten einen ganzen Tag damit, herauszufinden, welche Zusammenstellung von Mikrofonen wir für den Gesang verwenden würden! Laut deinem Label befasst du dich auf „Lunar Falls“ mit der Suche nach Identität und den Dingen, die man dafür opfern oder überwinden muss. Kannst du uns genauer erklären, was es damit auf sich hat? Einige von uns haben das Glück, an einem liebevollen Ort mit einem Gefühl der Zugehörigkeit und einem starken Selbstgefühl aufzuwachsen. Einige von uns haben das nicht. Wir werden mit verbundenen Augen durch dieses Labyrinth des Lebens geschickt und müssen unseren eigenen Weg finden. Unschuld, Freude und die Fähigkeit, zu staunen, können verloren gehen. Zeit in der Natur zu verbringen, kann uns in solch schwierigen Zeiten stärken und uns helfen, uns wieder mit unserer wahren inneren Natur zu verbinden. „Lunar Falls“ ist der verstorbenen Aleah Stanbridge gewidmet. Was hat dich persönlich mit ihr verbunden? Aleah ist für mich ein Sinnbild des endgültigen Verlusts. Sie war eine spektakuläre Komponistin und Sängerin, die nie erleben sollte, welche Auswirkungen ihre Musik auf andere haben würde, da ihr Album nach ihrem Tod veröffentlicht wurde. Wie bereits erwähnt, ist dein Song „The Elm“ eine Adaption von Trees Of Eternitys „Sinking Ships“, das damals von Aleah gesungen wurde. Was hat dich auf die Idee gebracht, den Track umzudichten und auf dem Album zu veröffentlichen? „The Elm“ ist eine Hommage an eine erstaunliche Künstlerin, die starb, als ihre Karriere gerade erst begonnen hatte. Ich hörte „Sinking Ships“ und als ich dann herausfand, dass sie gerade gestorben war, trauerte ich um diese Künstlerin, die mich so tief bewegt hatte. Ich fragte Juha Raivio, ob es in Ordnung sei, meine Adaption des Songs für mein Album aufzunehmen. Er gab mir seinen Segen. Er verstand, dass ich den Geist der Nachtigall weiterführen und mehr Menschen diese erstaunliche Künstlerin entdecken lassen wollte, die ein so schönes Erbe hinterließ. Zu dem Song „Aphasia“ wurde schon vor einiger Zeit auch ein offizielles Musikvideo veröffentlicht. Warum gerade zu diesem Track und was war die Idee hinter dem Konzept des Videos? Der Musikvideo-Regisseur Dillon Pearce entschied sich, aus Leidenschaft an diesem Track zu arbeiten, und er ging auf die von mir entwickelten visuellen Konzepte ein. Im Wesentlichen geht es darum, deinen Schatten zu umarmen – um Kraft in der Dunkelheit zu finden. Das heißt, zu akzeptieren, dass es Teil unserer Menschlichkeit ist, zum Guten wie zum Schlechten. Welches deiner Stücke ist deiner Meinung nach dein bisher ausgereiftestes? Ich bin sehr selbstkritisch und habe das Gefühl, dass mein nächstes Album noch mehr ein Spiegelbild dessen sein wird, was ich mir vorstelle. Ich bin jedoch sehr stolz auf „Lunar Falls“ als Debüt und von allen Tracks auf dem Album ist „Sovran Shrines“ ein Spiegelbild der Richtung, die ich beim Songwriting einschlagen möchte. Es nimmt den Zuhörer mit auf eine Reise. Für die Veröffentlichung seines Debüts hast du mit Northern Silence zusammengearbeitet. Warum fiel deine Wahl gerade auf dieses Label? Northern Silence ist bekannt dafür, einige der besten Underground-Veröffentlichungen aller Zeiten im atmosphärischen Black Metal hervorgebracht zu haben! Torsten, der Labelmanager, hat an mich geglaubt und tiefes Verständnis und Wertschätzung für das Album. Außerdem ist er einer der am härtesten arbeitenden Menschen, die ich kenne, und er liebt, was er tut. Was steht als Nächstes für SULDUSK auf dem Plan? Nachdem ich kürzlich einige erstaunliche Support-Shows für Anaal Nathrakh, Lindsay Schoolcraft und Zeal & Ardor gespielt habe, möchte ich anfangen, daran zu arbeiten, „Lunar Falls“ mit mehr Instrumenten und einer noch eindringlicheren Show zum Leben zu erwecken. Ein paar kleine Touren hier und da sind geplant. Außerdem habe ich angefangen, an Demos für das nächste Album zu arbeiten. Bei Metal1.info beenden wir unsere Interviews üblicherweise mit einem kurzen Brainstorming. Was fällt dir zu den folgenden Begriffen ein? Low-Fi-Produktion: Das Raue und das Wahrhaftige haben ihren Platz. Ich liebe es. Australische Natur: Gefährlich und wunderschön. Blast-Beats: Perfekt, wenn man sie gezielt einsetzt. Pop-Musik: Hin und wieder tut sich etwas mit Substanz hervor. Feminismus: Ich bin den Pionieren dankbar. SULDUSK in zehn Jahren: Am Meer Songs schreiben! Dann nochmals vielen Dank für dieses Interview. Möchtest du noch ein paar letzte Worte an die Leser richten? Danke für die gut durchdachten Fragen, Stephan! Ich hoffe, den Lesern gefällt das Album.